Looks like you have to wear a lot of suits for work! 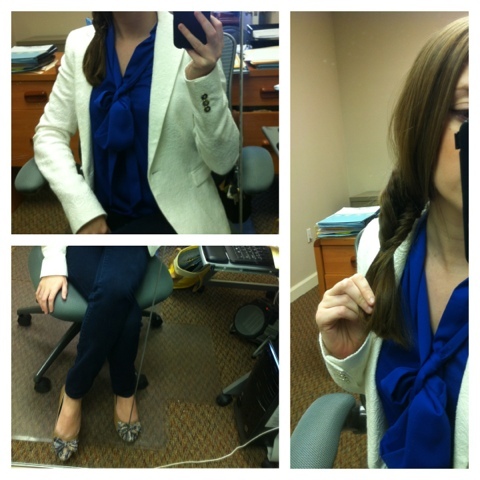 I'm sure you love the Casual Friday aspect! But your suit outfits are still cute! Lucky for you.. suits look horrible on me!! I have a giveaway running right now & would love for you to enter it! If you mean the black and grey combo, I'd say no. 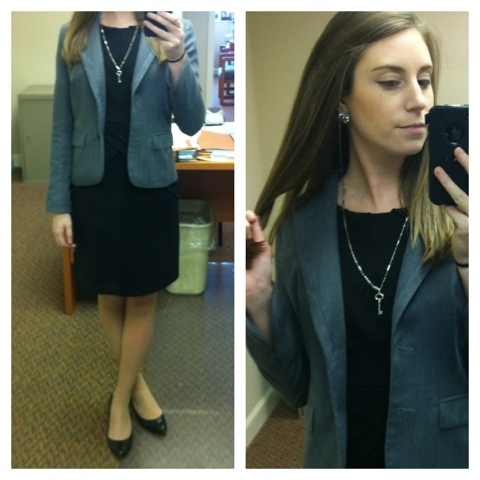 Med school interviews are probably a lot like job interviews and its best to play it safe and wear a matching suit. 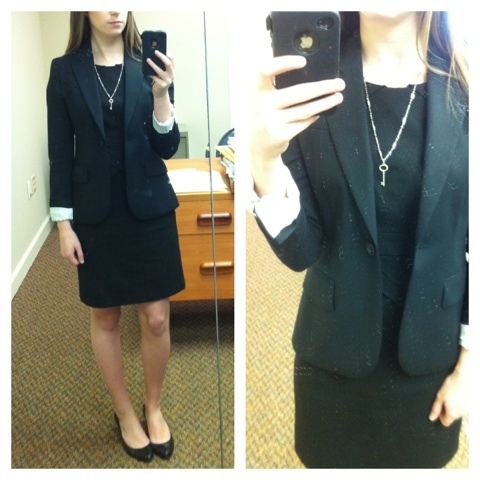 If you meant the black on black dress/blazer I'd say yes but I wouldn't roll the sleeves like I did. Congrats on your interviews and good luck!! ah, sorry, I should have been clear. 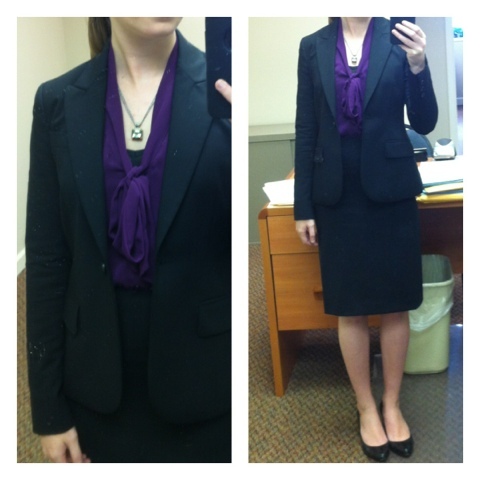 I did mean the black dress/black blazer combo :) I either need to buy a whole new suit (I really hate my current one and the pants are too short so I can only wear flats) or buy a blazer and heels so I have a professional dress and I feel I would get a lot more use out of those pieces. I love this! I should start doing this so that I can show the outfits that don't make the full photo-shoot cut too! 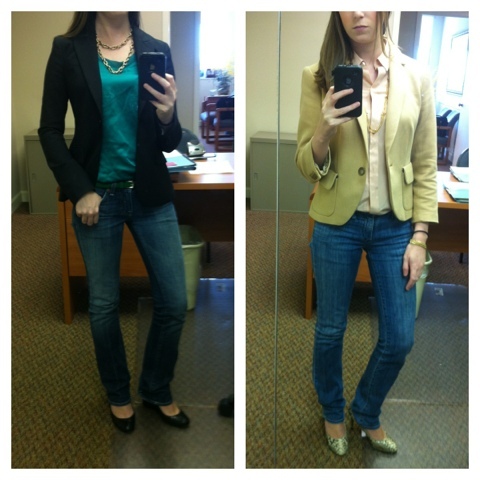 Love all these blazers - I need to wear the 4 I have more often so that I feel okay spending money on even more! !